On a Conventional Loan a Large Deposit is defined as – a single deposit that exceeds 50% of the total monthly qualifying income for the loan. By far, the biggest issue is when there are large cash deposits. These must be sourced and or justified. We can always source a check that is deposited. Let’s look at a few examples. Example 1: The borrower has 7 rental properties, and a house painting business. When we received his bank statements, there were 17 large deposits. While not convenient for the borrower, they had to go to the bank and get a copy of each deposit showing the make-up of that deposit. In this case, each deposit consisted of Cash and checks from their business. Because the borrower was self-employed and collected cash rents, and the deposits were consistent with the business income reported on his tax returns, we were able to justify the deposits. Example 2: The borrower had a $9000 cash deposit showing on their bank statement. This money came from cash the borrower had been saving from tips and house cleaning jobs over an extended period of time. This was un-usable. So, Dan what did you do? Fortunately, funds in checking and savings accounts only need to be seasoned for 2 months. We had to wait until the borrower could provide 2 months’ bank statements not showing the large deposit to use the funds. Example 3: The borrower had a cash deposit for $7500 showing on their bank statement. Upon further review, the $7500 was the proceeds from a vehicle that eh borrower sold. So, we had the borrower provide us with the bill of sale of the vehicle, and a copy of a past tax receipt showing ownership prior to sale. While these are just a few examples, many more exist. 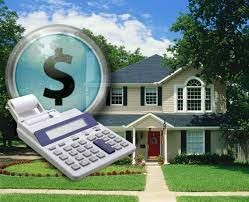 Bottom Line: Borrowers that move money around a lot in their check/savings account and intend to use those funds for purchasing a home need to be prepared to document the Large Deposits. Best case is always to have the borrower be prepared 2-3 months in advance. By the way, this is by far the most frustrating part of the loan process for every borrower. Hope this helps you understand the process better. Previous Previous Post: Negotiation Tactics, Technology & Social Media All-In-One! Next Next Post: Spring in January!